I’m a big fan of muffin tin breakfasts. They are so portable and individually sized, and are perfect for large batches made in advance. 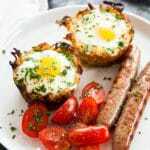 Shredded sweet potatoes and grated parmesan cheese form a hashbrown “nest” surrounding soft baked eggs – giving you two breakfast favourites in one convenient portion. See? That muffin tray is versatile for more than just muffins! These little beauties require a little prep work to make the sweet potato nests, but the rest is all in the oven and so easy peasy. To make the nests, you’ll grate a peeled sweet potato, mix it with shredded parmesan cheese, olive oil, garlic powder, and a little salt and pepper. Then you’ll scoop a spoonful into each muffin cup and press the hashbrown mixture flat against the bottom and the sides of the cup, making a little nest. The sweet potato nests get baked alone until browned, and then baked again once eggs are cracked into each nest. Baking the egg nests for 10-12 minutes yields a soft, runny yolk, and baking for 15+ minutes will yield a hard yolk. I like to keep watch through my oven window at 10 minutes to make sure I reach the perfect doneness. 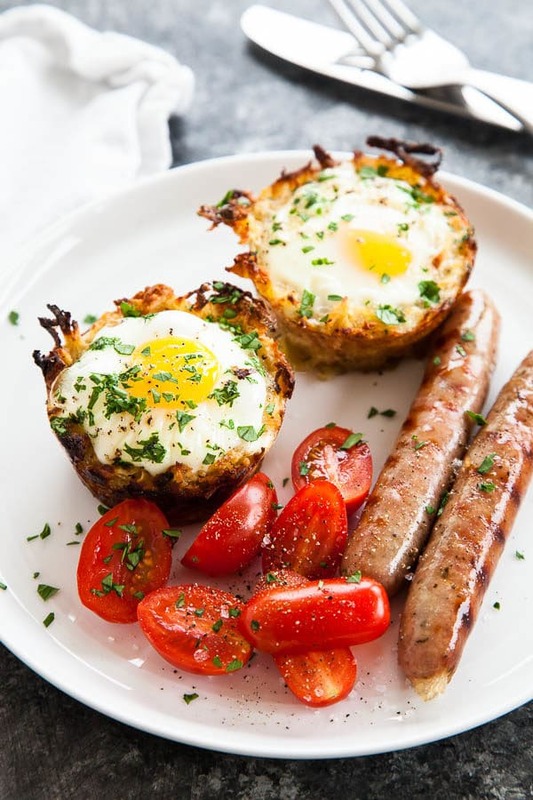 Serve Sweet Potato Egg Nests with a sprinkle of parsley, and a side of sausages or bacon. Or pack the nests into your fridge for easy re-heatable breakfasts during the week! Shredded sweet potatoes form a nest around soft baked eggs - giving you all your breakfast favourites in one easy portion. Preheat oven to 400 F and grease a 6-cup muffin tray. In a bowl, mix together the grated sweet potato, grated parmesan cheese, olive oil, garlic powder, and a few grinds of fresh salt and pepper. Evenly portion the sweet potato mixture into each of the 6 muffin cups. Press the mixture flat against the bottoms and sides of the cup, to form nests. 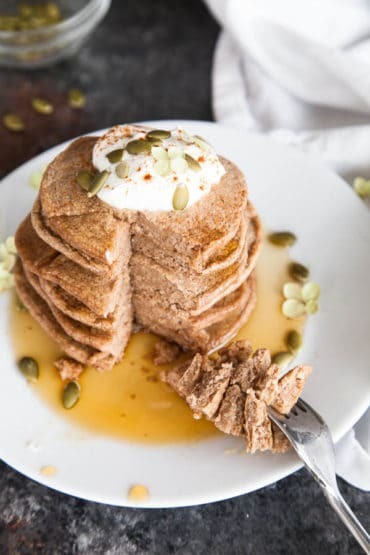 Bake sweet potato nests for 15 minutes, until edges are golden brown and slightly crisped. Remove muffin tray from oven and crack one egg into each nest. 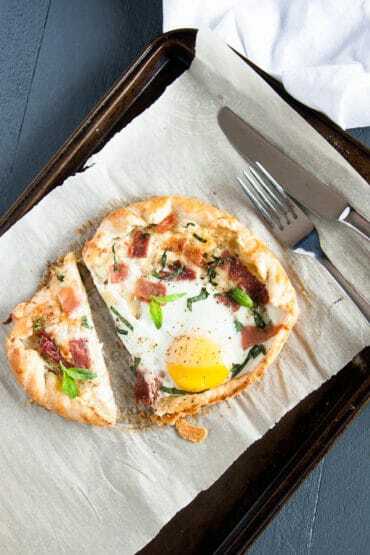 Return muffin tray to oven and bake for another 10-12 minutes for a soft yolk, or 15 minutes for a hard yolk. 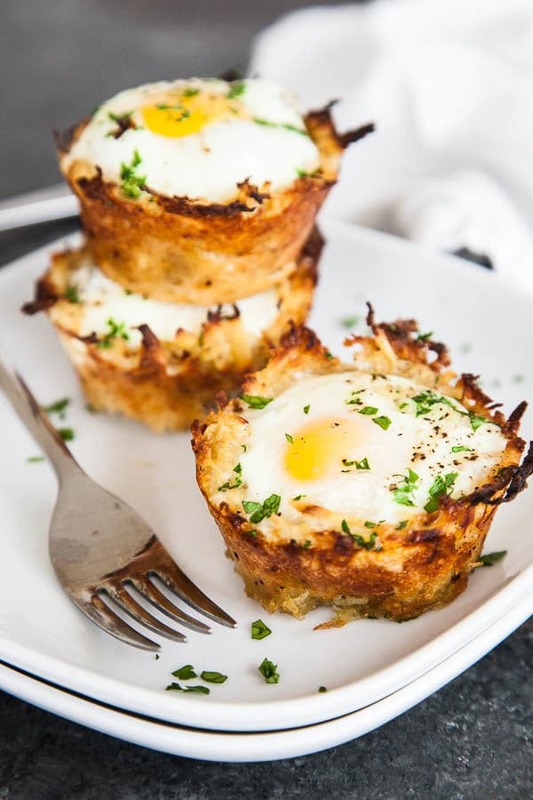 To serve, run a knife around the sides of each muffin cup, and carefully lift each egg nest out of the tray. Garnish with a sprinkle of parsley and your favourite breakfast sides. Hi Angie – I haven’t tried it without the cheese, but I’m sure it would work just fine. 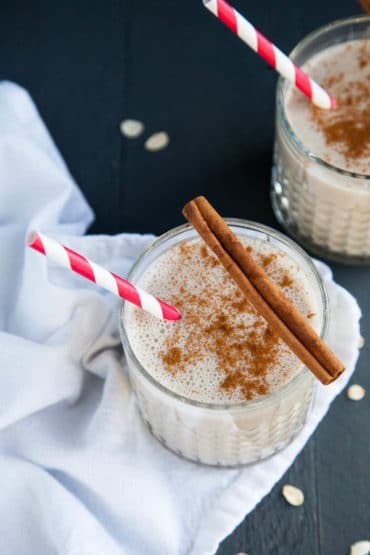 Let me know how it goes – these are a fav in our house! I love muffin tin breakfasts, too. 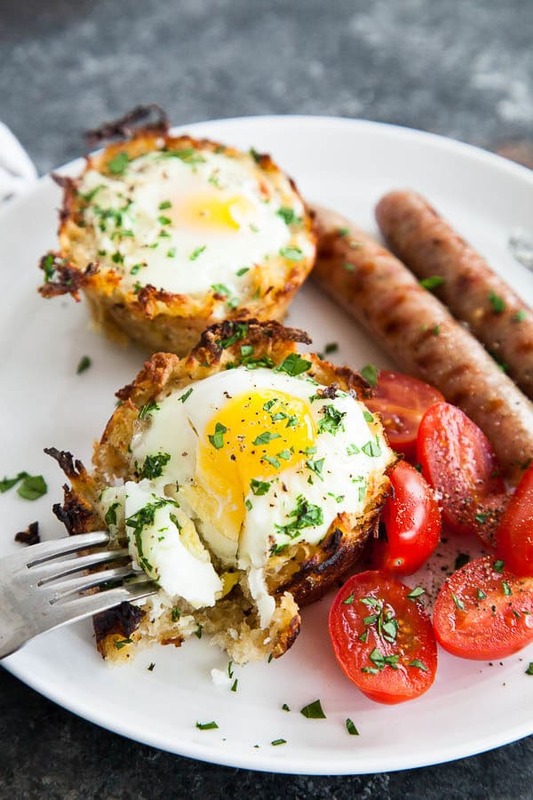 These look delicious for a weekend breakfast! These are adorable and abso-freaking-lutely scrumptious! When you pair anything crispy with soft, yoke-y eggs, it’s bliss. These look SO GOOD! Eggs and sweet potato are such a match made in heaven – I usually make latkes and top them with eggs, but i’m digging this idea instead. it’d be less standing around and everything is ready at the same time. Exactly! I’m all for making breakfast easier! These look delicious! 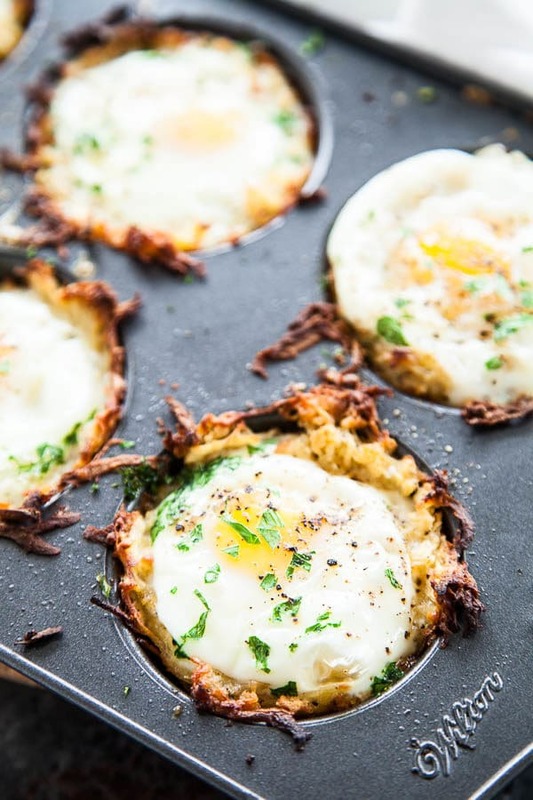 I haven’t tried many muffin tin savory breakfast recipes but i really should! You really should! 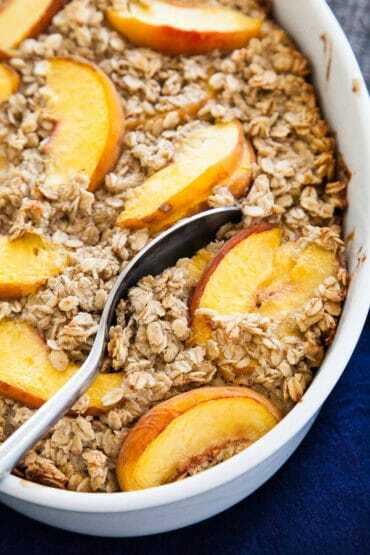 I love making a batch of these and having them in the fridge to heat up for quick breakfasts. Easy Ways to Eat the Best Pregnancy Foods - How to do everything! Would love to make these up for breakfast for the week, how would i reheat? They reheat best in the oven or toaster oven, as the sweet potato will retain its crispiness. Try 10 mins at 350F, or until warmed through. But in a pinch you can use the microwave – just be prepared for softer sweet potato.